TET (Seedling X Captain Blue) Ev. 30" scapes, 6 1/2" flowers, 3 way branching with 24 buds.Awaited for by many, I am finally able to introduce FOLLOW YOUR FANCY. 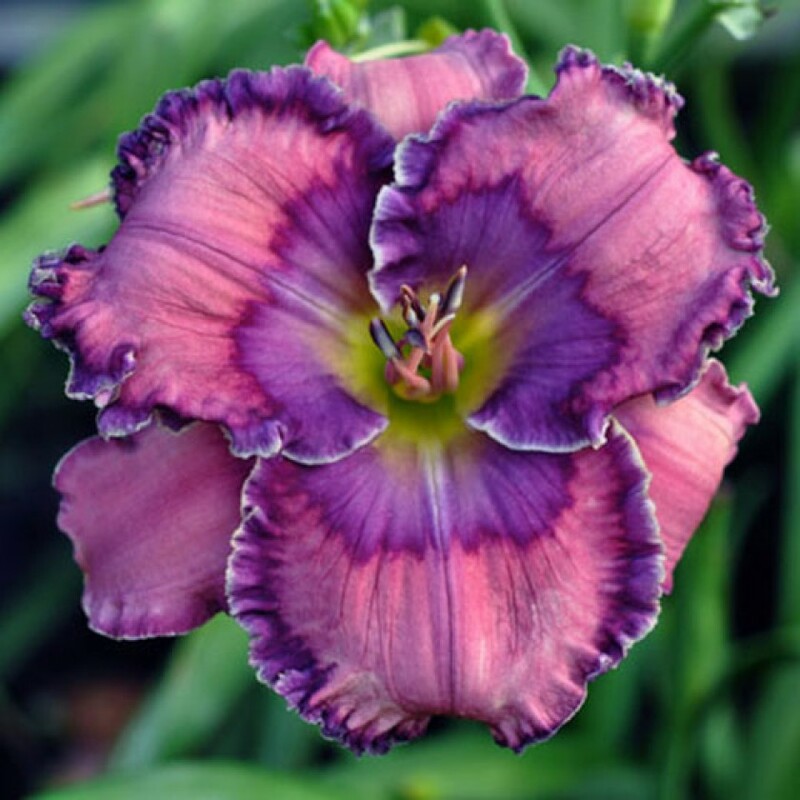 This flower has an extremely distinctive color combination. Broad petals of a dusty rose make way to a large eye of a dark violet blue lined in a bright raspberry mascara. 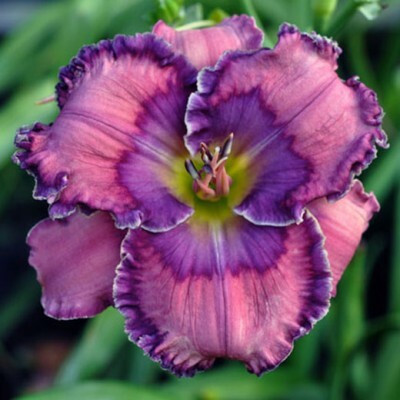 FOLLOW YOUR FANCY may not have the largest edge or most ruffling but this flower can really catch your eye. Reblooms. Fertile both ways.